My dear countrymen, Namaskar. Today, the entire country is celebrating Rakshabandhan. Heartiest greetings to all fellow citizens on this auspicious occasion. The festival of Rakshabandhan symbolizes the bond of love & trust between a brother & a sister. For centuries, this festival has proved to be a shining example of social harmony. In the nation’s history, there are innumerable accounts of this sacred thread, binding together people of distant lands, different religions, around a spindle of trust. In a few days from now, we shall celebrate the festive occasion of Janmashtami. The whole atmosphere will reverberate to the sonorous chants & calls of ‘Hathi, Ghoda, Palki’, ‘Jai Kanhaiya Lal ki’ and ‘Govinda-Govinda’. It is indeed an extremely joyous experience to imbue the essence of Bhagwan Krishna & revel blissfully. In other parts of the country, especially Maharashtra, our young friends must be busy with preparations of the ‘Dahi-Handi’…. the festive ritual of the human pyramid breaking the curd filled earthen pot. Heartiest greetings to all countrymen on the festive occasions of Rakshabandhan and Janmashtami. Bhagini Chinmayee, भवती संस्कृत – प्रश्न पृष्टवत्ती | Sister Chinmayee has asked a question in Sanskrit. Excellent, extraordinary. My salutations to you. On the occasion of Sanskrit week, I extend my best wishes to all countrymen. Sanskrit language & literature encompasses a storehouse of knowledge pertaining to every facet of life. Science & technology, agriculture & health, Mathematics & Management, economy & environment, the entire spectrum has been touched upon. It is said that our Vedas have detailed reference on Mantras, on ways & means to counter the challenges of global warming. You will be pleased to know that even today, residents of village Mattur in Shivamoga district of Karnataka use Sanskrit as their lingua franca. You will be astonished to know that Sanskrit is a language that possesses the capacity for infinite word formation with two thousand verb roots, 200 suffixes & 22 prefixes; coupled with compounds, the possibility of word-creation is limitless. And that is why the minutest nuance of an expression or subject can be accurately described. This has been the core speciality of Sanskrit. Today, at times, in order to communicate more assertively, we tend to make use of English Quotations or even sher-o-shayari-urdu poetry. But those who are well acquainted with Sanskrit Subhashitas – epigrammatic verses, know very well that it is possible to make a crisp, precise statement, using very few words through the usage of subhashitas. And since there is a sense of geographical & cultural belonging, they are easy to understand & assimilate. My dear countrymen, the monsoon comes along, bringing a new ray of hope to our toiling farmers. It provided much needed succor to the scorched trees & shrubs, and to parched water bodies; on the other hand excessive rainfall causes devastating floods. It’s a vagary of Nature that some places have received higher rainfall compared to other places. We just saw how the terrible floods in Kerala have affected human lives. In today’s pressing, hard times, the entire Nation is with Kerala. Our sympathies are with those families who lost their loved ones. Loss of lives cannot be compensated, but I assure the grief-stricken families that in this moment of suffering & misery, a hundred & twenty five crore Indians stand by them, shoulder to shoulder. I earnestly pray for those injured in this natural disaster to get well soon. I firmly believe that the sheer grit and courage of the people of the state will see Kerala rise again. Disasters, unfortunately leave behind a trail of destruction. But one gets to witness facets of humanity, humaneness during disasters. From Kutch to Kamrup, from Kashmir to Kanyakumari, everyone is endeavoring to contribute in some way or the other so that wherever a disaster strikes, be it Kerala or any other part of India, human life returns to normalcy. Irrespective of age group or area of work, people are contributing. Everyone is trying to ensure speedy mitigation of the sufferings people in Kerala are going through, in fact sharing their pain. We know that jawans of our armed forces are the vanguards of rescue & relief operations in Kerala. They have left no stone unturned as saviors of those trapped in the floods. The Air Force, Navy, Army, BSF, CISF, RAF, every agency has played an exemplary role in the rescue & relief operations. I would like to specially mention the arduous endeavors of the NDRF daredevils. At this moment of hardship & agony, their service stands out as a shining example. The capability, commitment & controlling situation through rapid decisions of the NDRF have made them a cynosure of every Indian’s eye, worthy of respect & admiration. Yesterday was the festival of Onam. We pray for Onam to provide strength to the country, especially Kerala so that it returns to normalcy on a newer journey of development. Once again on behalf of all Indians, I would like to re assure each & everyone in Kerala and other affected places that at this moment of calamity, the entire country stands by them. My dear countrymen ! I was looking into the suggestions received for “Mann Ki Baat”. The subject about which most of the people from across the country have written is “Our revered Atal Behari Vajpayee”. 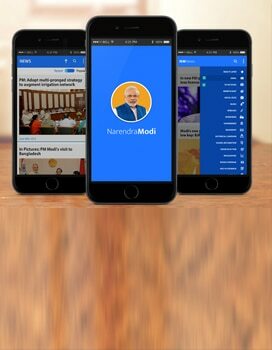 Kirti from Ghaziabad, Swati Vats from Sonepat, brother Praveen from Kerala, Dr. Swapan Banerjee from West Bengal, Akhilesh Pandey from Katihar, Bihar and numerous others have written on Narendra Modi Mobile App and MyGov asking me to speak on various aspects of Atalji’s life. As soon as the people in our country and abroad heard of the demise of Atalji on 16th August, everyone drowned in sadness. He was a leader who gave up his position as Prime Minister fourteen years ago. In a way, he was cut-off from active politics for the last 10 years. He was neither seen in the news nor in public life. Ten years is a huge gap but on 16th August our country and the whole world witnessed that there was not a gap of even a single moment in the common man’s heart. The wave of love and faith that spread across the nation is an indicator of his great personality. During these last days, many great aspects of Atalji came up to the fore. People remembered him as the best member of Parliament, sensitive writer, best orator and most popular Prime Minister and will continue to remember him. The country will ever remain grateful to Atalji for bringing good governance in the main stream. But, I just want to touch upon one more facet of Atalji’s legendary personality and that is the political culture which Atalji gave to India, his efforts in the direction of bringing about the changes in our political culture, his efforts to mould it into an organized framework and which proved very beneficial for India and a bigger benefit will accrue in days to come. This is certain. India will remain ever grateful to Atalji for bringing the 91st Amendment Act, 2003. This change brought about two important changes in India’s politics. Atalji was a true patriot. It was during his tenure that the timing of presenting the budget was changed. Earlier, as was the British tradition, the Budget used to be presented at 5 pm because in London, Parliament used to start working at that time. In the year 2001, Atalji changed the time of presenting the budget from 5 pm to 11 am. One more freedom- the Indian Flag Code was framed in Atalji’s tenure and it came into effect in 2002. A number of such rules have been included in this code which made it possible to unfurl the tricolor in public places. This provided a chance to more and more of our countrymen to unfurl our national flag. Thus, he brought our beloved tricolor closer to the common man. You must have noticed how Atalji took bold steps to bring about fundamental reforms, whether in our election process or about the shortcomings concerning the people’s representatives. Similarly, you can see that presently efforts are afoot and discussions are being held about simultaneously holding the elections for Lok Sabha and for state assemblies. The Government and the opposition – both are putting forth their view points. This is a good development and a healthy sign for our democracy. I must say that developing healthy traditions for a sound democracy, making constant efforts to strengthen democracy, encouraging open-minded debates would also be a appropriate tribute to Atalji. Reiterating our resolve to fulfill his dream of a prosperous and developed India, I along with all of you pay tributes to Atalji. My dear countrymen ! whenever a discussion about Parliament is there nowadays, it is about hold-ups, noisy scenes and stalling the proceedings but when something good happens, it is not given much importance. The monsoon session of Parliament ended just a few days back. You will be glad to know that the productivity of Lok Sabha remained 118 percent and that of Rajya Sabha was 74 percent. All the members rose above party interests to make the Monsoon session most productive and this is why Lok Sabha passed 21 bills and in Rajya Sabha fourteen bills were passed. This Monsoon session of Parliament will always be remembered as a session for social justice and youth welfare. A number of important bills beneficial to the youth and the backward classes were passed during this session. As you know, a demand to constitute an OBC Commission similar to SC/ST commission was long pending for decades. The country fulfilled its resolve this time to make an OBC Commission and also granted it Constitutional powers. This step will prove to be the one to move forward our march towards achieving the goal of social justice. An amendment bill to secure the rights of scheduled castes and scheduled tribes also were passed in this session. This Act will give more security to the interests of SC and ST communities. This will also forbid criminals from indulging in atrocities and will instill confidence among the dalit communities. My dear countrymen! The attention of crores of Indians is focused on the Asian Games being held in Jakarta. Every morning, first of all, people look for newspapers, Television, News and Social Media to check Indian players winning medals. The Asian Games are going on. I wish to congratulate all players who have won medals for the country. I extend my best wishes to those players who are yet to compete. Indian players are performing exceedingly well in shooting and wrestling but our players are winning medals in those competitions too, in which our performance has not been so good earlier-like WUSHU and ROWING. These are not just medals but an evidence of the sky high spirits of the Indian players. Namaste Bhawnaji, I respect your sentiments. All of us have seen houses and buildings being constructed of bricks and stones but can you imagine that about twelve hundred years ago, a giant mountain which was a single stone mountain was give the shape of an elegant, huge and a unique –temple –this may be difficult to imagine, but this happened and that temple is Kailash Nath Mandir in Ellora, Mahrashtra. Would you believe if someone tells you that about a thousand years ago, an over sixty metres tall pillar of granite was built and another granite rock weighing about 80 tonnes was placed over its top. But, Brihdeshwar temple of Thanjavur in Tamil Nadu is the place where this unbelievable combination of Engineering and Architecture can be seen. Anybody will feel overawed on seeing Rani Ki Vaav of the 11th Century in Patan in Gujarat. Our land has been an engineering laboratory. There have been several engineers in India who made the unimaginable possible and presented such marvels of engineering before the world. In this lineage of great engineers, we were blessed with a diamond whose work is still a source of wonder for all. He was Bharat Ratna Dr. M. Visvesvaraya. 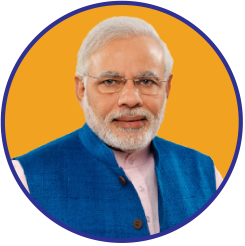 Lakhs of farmers and common people continue to benefit from the Krishna Raj Sagar Dam built by him. He is greatly revered in that part of our country and the whole nation remembers him with great respect and regard. In his memory, 15th September is observed as Engineers Day. Following his footsteps, our engineers have created their own identity in the world. When I talk of wonders in the Engineering world, I am reminded of an incident of 2001 when a devastating earth quake hit Kutch in Gujarat. I used to work as a volunteer there during those days, I got a chance to go to a village and had a chance to meet a lady of more than a hundred years of age. And she was looking at me and mockingly, saying, “Look at my house. It is called Bhoonga in Kutch. This house has faced three earthquakes. I myself have seen three in this house itself. But, you did not find any damage anywhere. These houses were built by our ancestors in sync with nature and surroundings of this place”. And she was saying all this with such a feeling of pride that it made me think that engineers in that era had constructed such structures according to the local situations which kept the common man safe and secured. While observing Engineers Day, we should think of the future as well. Workshops should be held at different places. What are the things we need to learn in the changing times? What do we need to teach? What do we need to connect to? Nowadays, disaster management has assumed immense significance. The world is facing natural calamities. What then should be the new form of structural engineering? What courses should be designed to that end? What should be taught to the students? How do we keep construction eco friendly? How can we enhance the quality of construction by making value addition through local materials? How do we make zero waste our priority? All such points need to be pondered upon when we observe Engineers Day.